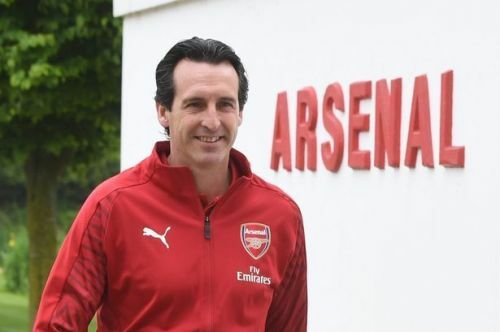 Arsenal have confirmed that Unai Emery will succeed Arsene Wenger at the helm of the North London club after Wenger's 22 year reign at Arsenal came to an end last season. The Spaniard has been called a proven winner by Arsenal's majority owner Stan Kroenke. Emery has had competitive success across Europe. He has won the Europa League three consecutive times with Sevilla and clinched six trophies during his two seasons managing Paris Saint-Germain. The former PSG manager will inherit an Arsenal squad which has lots of amazing, albeit inconsistent quality. But as Wenger reflected last season, the squad is surely bloated and there will be some players who will be finding it difficult to break into the starting 11 under the new management. Let's take a took at 7 such fringe players who would be best served by a temporary or permanent move to another club. Chuba Akpom has been at Arsenal since he was six and is a product of the esteemed youth setup at Arsenal. Akpom spent the second half of last season on loan at Sint-Truidense in the Belgian top flight. In 13 appearances for the Belgian side, Akpom found the back of the net five times. Not too bad for the 22-year old Nigerian. Akpom will find it difficult to push for a starting spot at Arsenal, especially ahead of clinical Lacazette and the in-form Aubameyang. 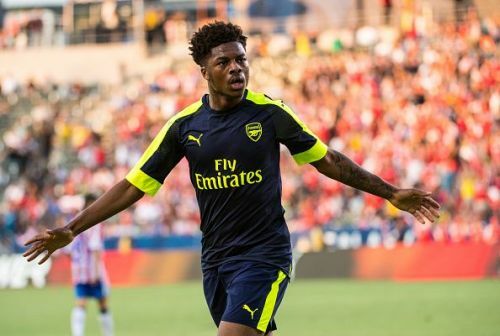 Given that Arsenal youth players like Nketiah and Mavididi are waiting on the wings to be called up to the senior squad as back ups, Akpom will have to possibly leave Arsenal, on what would be his seventh loan spell to get some game time under his belt. Sint-Truidense have mentioned that they would be interested to make his loan move permanent. We will have to wait and see if Arsenal and Akpom take them up on their offer.